It was a really nice apartment and we were all really happy! Un appartamento moderno in una posizione abbastanza centrale: non potevamo chiedere di meglio! 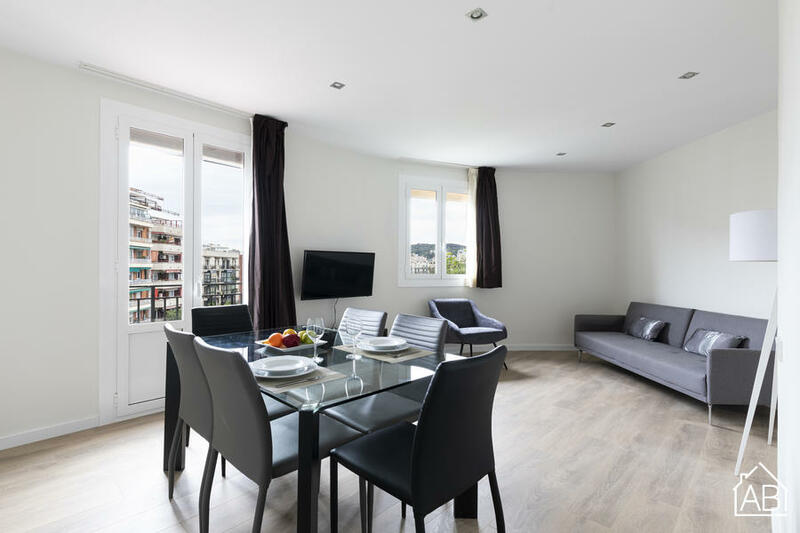 This charming apartment is located near Barcelona´s Plaça d’Espanya, where the Montjuïc Magic Fountain and Montjuïc hill can be found. Finding your way around will not be very difficult as this area is well connected to the rest of Barcelona by public transport, including bus and metro. This chic apartment comfortably accommodates up to six people, as it has three bedrooms and one bathroom. There is a fully equipped kitchen allowing you to prepare all of your favourite meals in the comfort of this apartment. Enjoy your meals on the balcony overlooking a typical Barcelona street. This fantastic apartment also has a washing machine, internet connection, a TV, central heating and air conditioning!